Secretary-General Ban Ki-moon (centre) briefs members of the General Assembly. Secretary-General Ban Ki-moon today urged countries to make progress in their negotiations of the outcome document for the United Nations Sustainable Development Conference (Rio+20) next month. He added that although he was encouraged by the level of participation shown by countries so far, making progress on issues will largely depend on the ambition of the outcome document endorsed at the conference. Last Saturday, representatives from governments negotiating the outcome document agreed to add five more days of deliberations to bridge differences that have kept them from making further progress in negotiations. The UN chief appealed to all countries to show flexibility to reach an agreement on substantive issues and finalize the document ahead of the conference in Rio de Janeiro. “Quite simply, we need a negotiated outcome document before Rio to ensure the high-level participation that we have worked so hard to generate,” he said. Mr. Ban emphasized that the outcome of the deliberations over the next few weeks would help shape actions on the main issues to be addressed at Rio+20, such as the management and protection of oceans, ensuring universal access to sustainable energy and water, and improving life in the world’s cities, among others. The Secretary-General also underlined that there should be an agreement to establish Sustainable Development Goals that build on the current Millennium Development Goals (MDGs), the anti-poverty and social development targets that have an achievement deadline of 2015. “We must harness the power of partnership to shift the world onto a more sustainable trajectory of growth and development. Rio should be a concrete step forward in this regard,” he said. In his remarks to the General Assembly, Mr. Ban also announced the co-chairs of the High-level Panel of Eminent Persons to advise on planning for post-2015. He added that he intends to conduct further consultations regarding the composition of the High-level Panel, “mindful of the appropriate balance across geography, gender, generations, and constituencies” and plans to announce the full panel following the Rio+20 Summit Meeting. 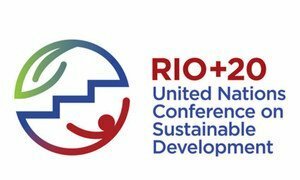 Representatives from governments negotiating the outcome document for the United Nations Sustainable Development Conference (Rio+20) today agreed to add five more days of deliberations to bridge differences that have kept them from making further progress in negotiations.